IBM (International Business Machine) IT company profile: Complete details and official website details are gathered and a collection of information is given below. Do you know software companies in Bangalore & details.? IBM (International Business Machine) is an American multinational company which was established in the year 1896 by Herman Hollerith in New York. IBM laid its strong foundation in India by 1992. IBM is nicknamed as Big Blue is the global leader in hardware, software and services. IBM is one of the largest company which has established its footprint in 170 countries across globe. – Sets up research lab at California. – IBM’s first Laser Printer introduced. – IBM’s reentry into computer service business. – Thinkpad series of Laptop computers was produced. – IBM loses US$ 8 billion in the field of personal computers and client-server computing. – Speech recognition software for personal computers is released. – IBM used internet as the medium and launched various business like eBusiness. – IBM introduced fastest supercomputer IBM ACI White. – IBM introduced carbon nanotube transistors. – IBM sells thinkpad series of Laptops to Chinese manufacturer Lenovo. 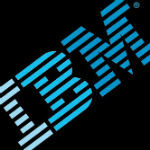 – IBM introduced English to Arabic translation software. – Introduced River monitoring institute in collaboration with Beacon institute. – Won Nobel Prize for Scanning Tunneling microscopy in the year 1986 and for its high temperature superconductivity in the year 19787. – IBM Singapore recognized as Top 5 Ideal Graduate employers in 2012. – Black expertise magazine named IBM among Top 40 companies for diversity. – Awarded best workplace diversity strategy at the Austria Awards 2012. – IBM Mexico was awarded as Family friendly company in the year 2010. Source : Wikipedia & IBM Website.